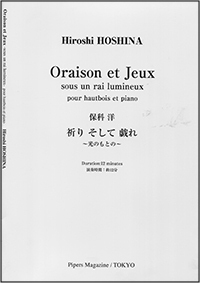 The title, which means “Prayer and Play- under a bright shine" in French, was given by a friend of the composer as a French translation of the Japanese title. 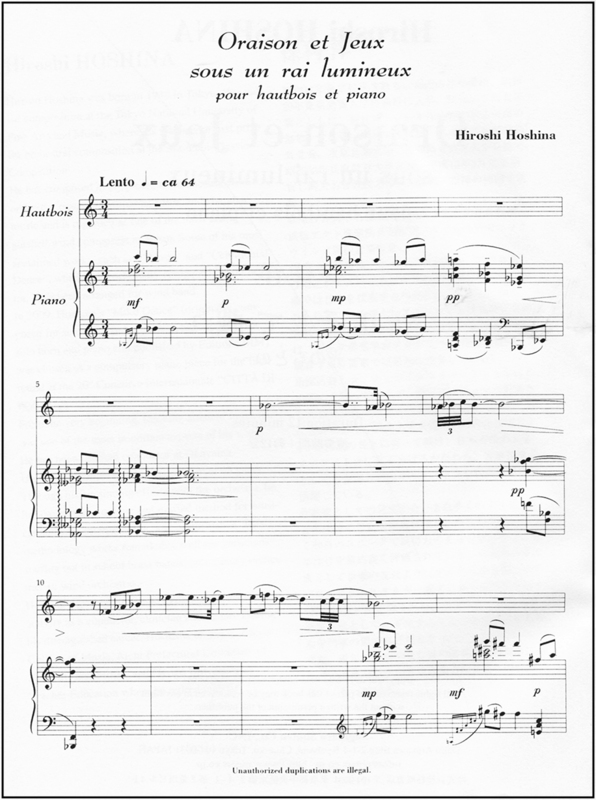 The piece was originally composed for solo-oboe and piano in 2003 for Tomoyuki Hirota, the principal oboist in the Tokyo Metropolitan Orchestra, to perform. It was re-arranged for solo-oboe and orchestra in 2004 and for solo-oboe and symphonic band in 2006. "I feel this dazzling light surrounding myself, coming from nowhere. As my prayer, I shall be playful to feel it." The structure of the piece is a traditional ternary form with three parts and a coda. The first part, "Lento", is based on the improvised motives which evoke one's own prayer. In the next part "Allegro", the composer depicts feelings of playfulness using technical and rhythmic phrasing. The "prayer" motif returns at the beginning of the third part and is then expanded into a cadence. The music ends with a short coda expressing a sprightly mood. 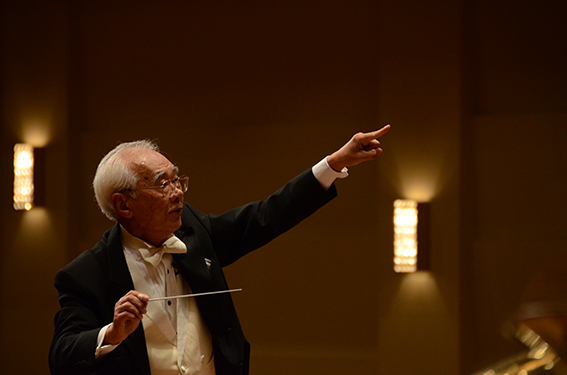 The composer believes that in keeping to more traditional styles, rather than imposing gimmicky contemporary twists, it allows the performers to interpret the music using their own creativity and styles. He believes that by giving the performers more freedom to interpret the music, the oboe’s characteristic tones can shine through. This philosophy is also expressed in his newer concerto for solo-horn and orchestra, "Miko Dance".